It’s a mantra of sorts at Opus Vancouver. What does it mean? 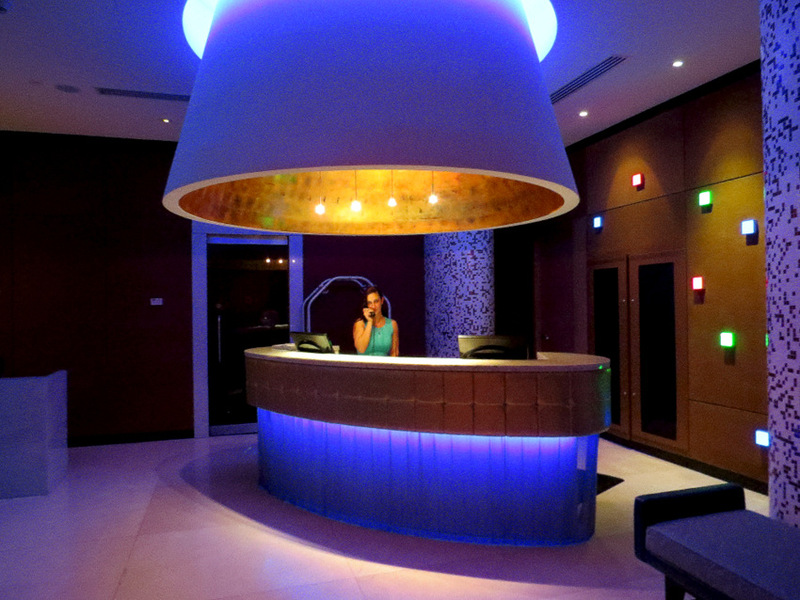 You’ll understand as soon as you enter the compact, yet sparkling lobby. It has a glow about it. Color is king here. Hip easily translates to happy. Forget about everything you’ve come to expect from a hotel. It doesn’t take long to get the sense they’re re-inventing the rules of hospitality at this boutique Yaletown hotel. It’s also pretty obvious the folks that work here are having a whole lot of fun in the process. The hotel is designed to feel like home, or maybe better described as how we dream our homes could be. Cozy and comfortable, yet oozing with the kind of style that makes them magazine-layout-worthy. There are just 96 rooms. You’ll never get lost. It’s compact like a city hotel, but doesn’t skimp on space when it comes to its guest rooms. If you stay for a couple days or more, you’ll start to recognize fellow guests and learn the names of staff members who somehow seemed to memorize yours the moment you checked in. Back to the rooms, and the fun that’s waiting after you swipe that key card. Bright colors and patterns paired with modern furniture and amenities combine to create a bright space with a fun, open feel. There’s always a plush place to sit along with a spacious desk and ergonomic chair. 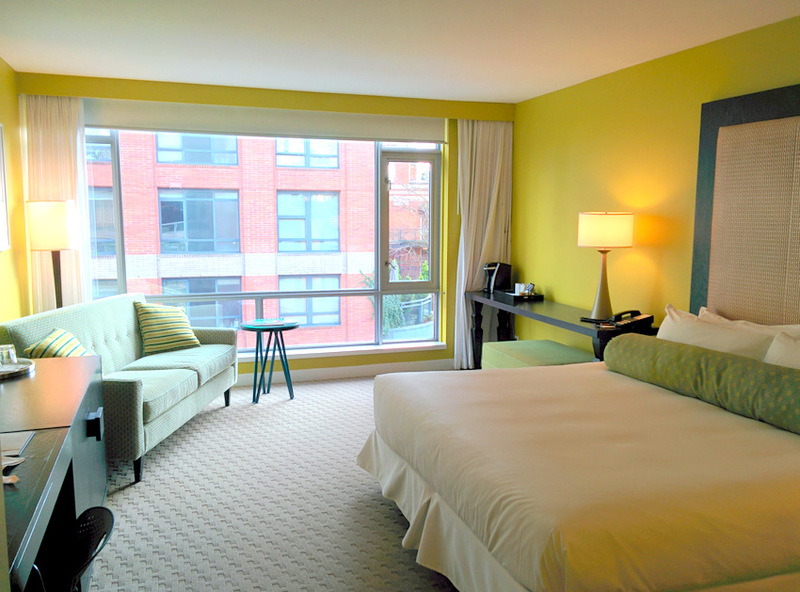 Every room at Opus Vancouver comes with a loaded iPad to help you make the most of your stay in Vancouver. You’re free to take it with you as you explore Vancouver; the Opus Hotel app can help you plan your days. Then there’s the pre-loaded tunes and 2,000-plus newspapers in 55 languages to fill any downtime that might somehow find its way into your itinerary. Select rooms also come with a Samsung S3, allowing you to stay connected wherever you may spend your day. Search for restaurants, look up directions or post a photo or two with no annoying roaming charges. The creative use of color and local art is impossible to miss, but guest rooms have a sneaky side that radiates with most guests, especially in the winter. Along with a walk-in shower and deep soaking tub, all bathrooms have heated tile floors. After a long day of touring on your feet, toasty toes are tough to beat. As the hotel is located right in the heart of Yaletown, it’s hard to go wrong when you step outside the door, whichever way you turn. Yaletown is known for its social scene. Eating, drinking cocktails and coffee, shopping,and spas make for popular ways to pamper yourself over the course of the day. Jump on a complimentary hotel cruiser, or simply walk the block or so to the seawall. Stretching for more than 13 miles, it’s a great place to wander. Green parks with open space and art line the waterfront. There will be runners, walkers, bikers and dogs. Lots of dogs. If you’re energetic, you can set your sights on Granville Island. If floating is more your style, hop on the Aquabus for dock-to-dock delivery. 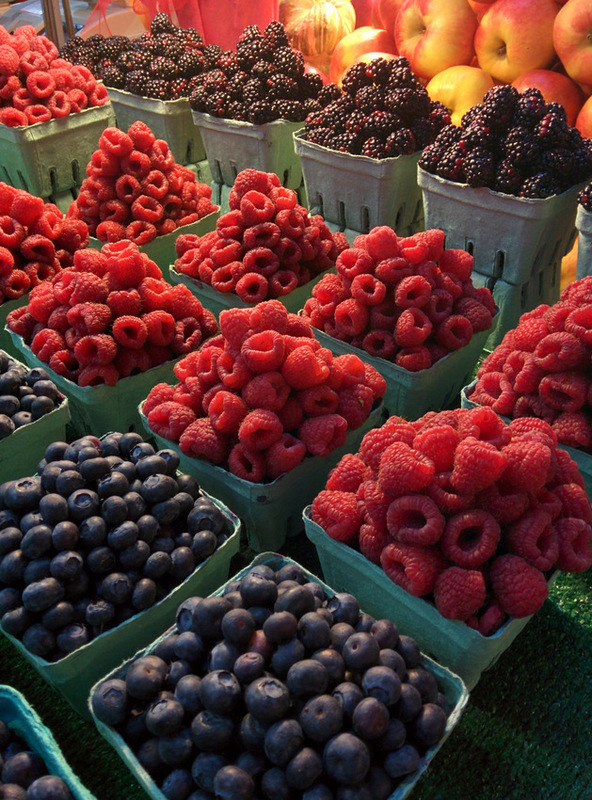 It has a well deserved reputation as a must-visit spot when in Vancouver, but save some time to explore after you eat and shop your way through the Granville Island Public Market. Along with some scenic waterfront on Granville Island, there’s a kids’ area complete with hungry ducks and geese and a number of artisan shops, including a distillery, sake maker and broom company. Yes, brooms. But these are so pretty, you might find it hard to actually clean with them. 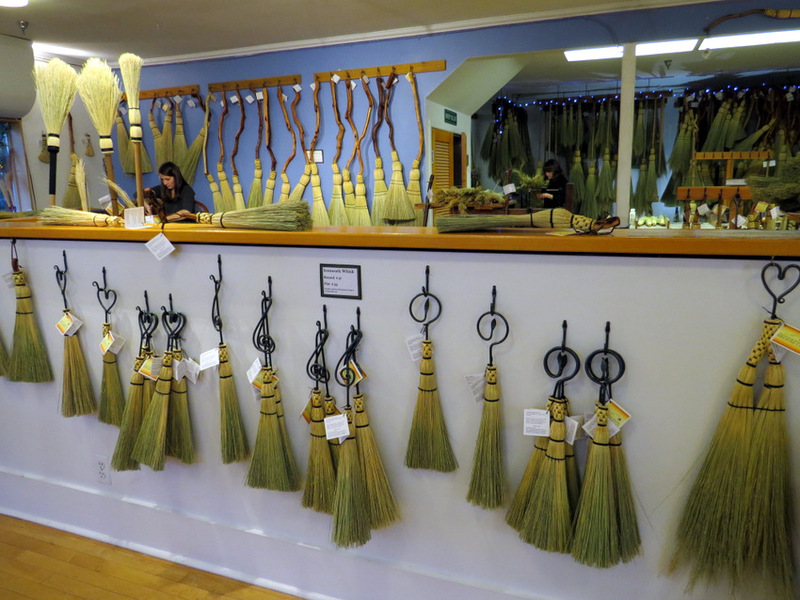 Handmade by two sisters, Mary and Sarah Schwieger, these examples of cleaning art can be seen at Granville Island Broom Co. on Old Bridge Street. There’s no excuse not to eat well in Yaletown, even if you’re exhausted after a busy day of exploring. La Pentola is located in the Opus Vancouver lobby, so you don’t even need to put on your coat. Handmade pastas, sausages and seasonal ingredients are just some of the stand-outs at this rustic Italian restaurant. Just thinking about the squash and ricotta salad with toasted pumpkin seeds makes my mouth water. Even the limoncello is house made. The Opus Bar just next door stays open late, pouring creative cocktails. If you like sushi, venture out a few blocks to Minami. Vancouver boasts an estimated 600 sushi restaurants, but Minami stands out in the crowd, serving it Aburi style. It’s flame-seared using a blowtorch and bamboo charcoal, and you won’t find any soy sauce or wasabi here. 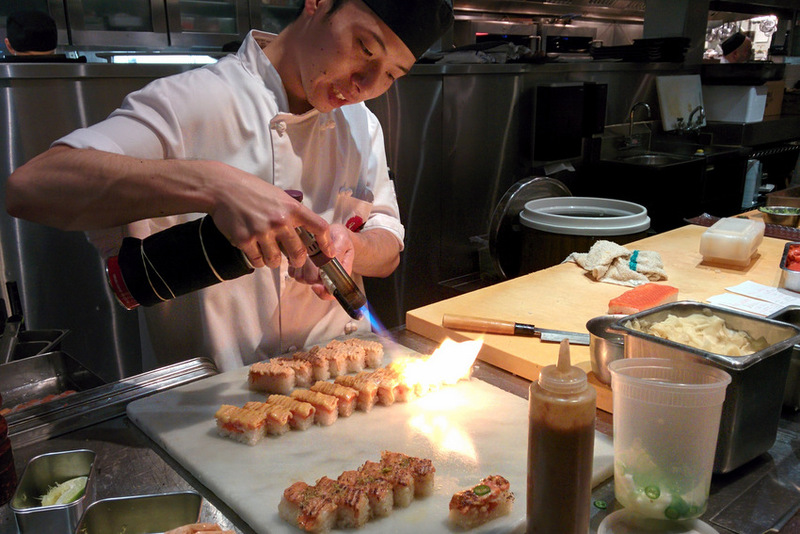 Chefs create specialty sauces using non-traditional Japanese ingredients for each fish they serve. Have a camera handy; the presentation almost rivals the taste. Sake fans will be all smiles, as Minami pours a house label made exclusively for them by Yoshi No Gawa. 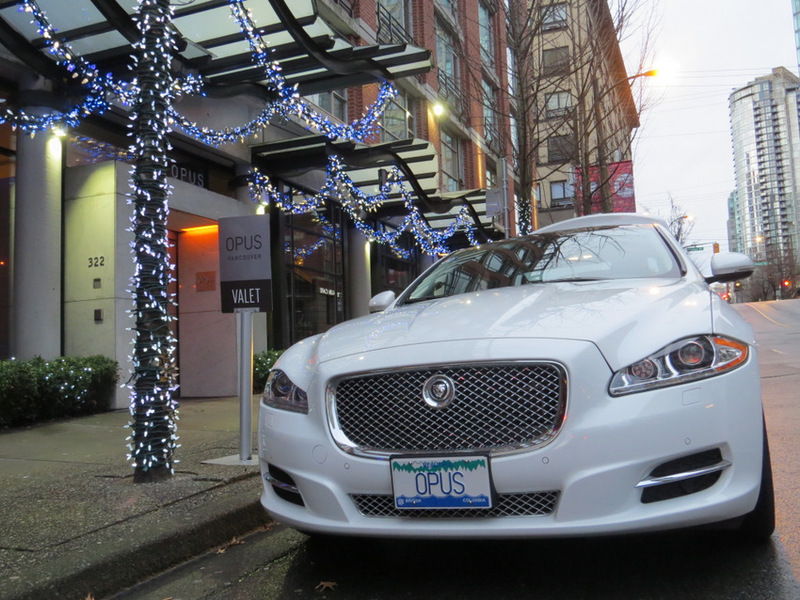 Opus is located across the street from the Yaletown-Roundhouse Canada Line subway station. Travel time from the hotel to Vancouver International Airport (YVR) is just over 20 minutes. Even for visitors with suitcases, the train system is quick and simple to use. Going somewhere in downtown Vancouver? Do it in style with the hotel’s complimentary luxury car service. The white 2014 Jaguar XJ even has heated seats. Dana’s trip to Vancouver was a media familiarization tour, but as always her thoughts and opinions are her own.